With the hullabaloo from the millennium celebrations and universal obsession with recording that moment now relegated to distant memory, it is worth looking at how our forefathers recorded the passage of time down the ages. It is true to say the passage of previous milleniums were not celebrated with a glass of bubbly in one hand and a fine Rolex chronometer on the other. It is also true that time has held and intense fascination for humans from the moment they first walked out of the jungle. 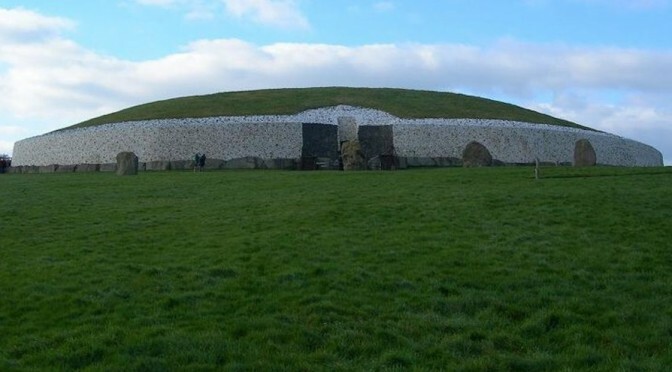 The widespread interest in the coverage of the winter solstice at Newgrange aptly illustrates that little has changed in the space of 5,000 years. 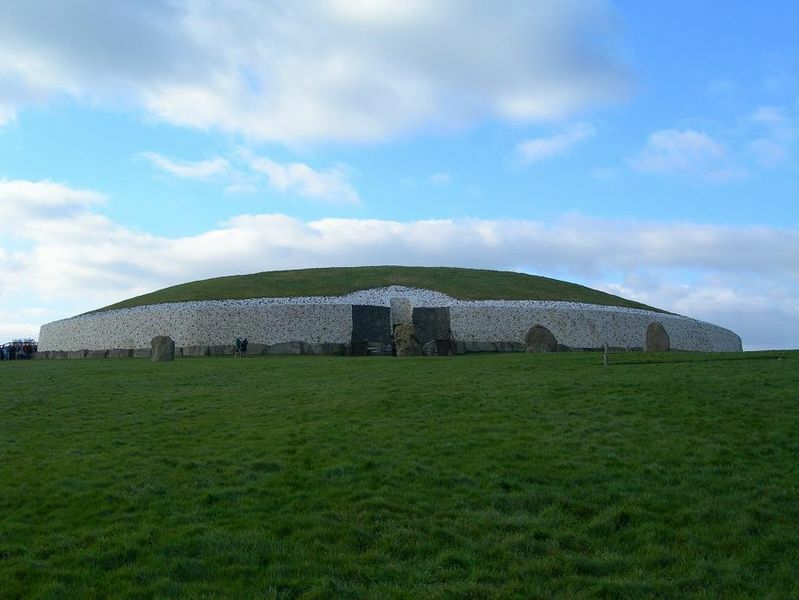 The technology which was employed by our Irish ancestors is even more amazing now when placed in the context of the era. Up until the Middle Ages the best that money could but extended to the lowly waterclock or sundial. Mechanical clocks as we know them were only invented in the late 13th century and they are among the most charming if not the most intriguing of antiques. This is due principally to the major innovations introduced from the 17th century onwards. Their attraction lies in our ongoing appreciation of mechanical or, more so today, technological ingenuity. But clocks and watches have immense decorative allure and many pocket watches and wristwatches are sought after more for their qualities of design than for the accuracy of their timekeeping. Such pieces can be appreciated in the same way as a piece of furniture or even a painting. Most types of clock, and there are many different varieties to suit every taste and budget, display not only the technical wizardry of the clockmaker but also that of the polisher, engraver, brass caster, dial painter and cabinetmaker. Some variations on the theme include the longcase (commonly referred to as the grandfather clock), carriage, bracket, lantern, cartel, regulator and chronometer. While the market has changed over the past number of years, with prices for good pieces by the recognised French and English makers at the top fetching huge sums, there are still bargains to be had for the discerning collector. There is a wealth of knowledge out there for the enthusiast but it must be said that Ireland has a long and proud tradition in the craft, and perhaps it would be wiser to look closer to home first. Going by recent prices in the auction rooms around the country, prices for longcase clocks can vary considerably. They typically start from £450, depending on maker and quality, but can fetch up to £10,000. Occasionally pieces of extraordinary quality appear for which there is and all too eager feeding frenzy, and prices are adjusted accordingly. But, as always, there are bargains to be had, and at the lower end of the market, you could be starting your collection for as little as £50. Considering the current activity within the equity markets, especially with technological stocks on the Nasdaq, it is easy to forget that long before the performance of firms like Microsoft, Iona and Baltimore Technologies were part of dinner party conversations, the profit motive was a secondary factor in the acquisition process. Factors such as functionality, desirability and beauty took precedence over profit and percentages. It is now worth going back to the pleasure-versus-profit question in relation to antiques. 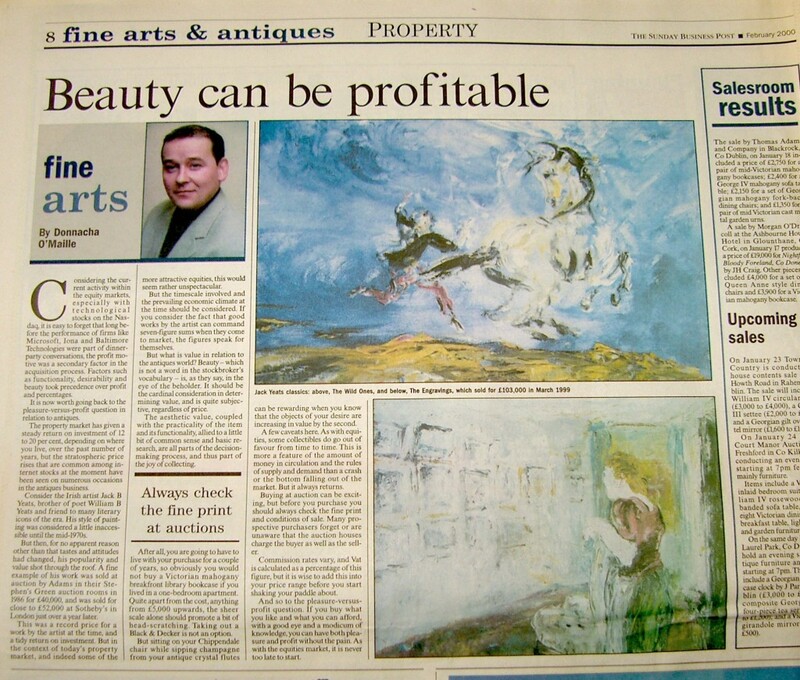 The property market has given a steady return on investment of 12 to 20 per cent, depending on where you live, over the past number of years, but the stratospheric price rises that are common among internet stocks at the moment have been seen on numerous occasions in the antiques business. Consider the Irish artist Jack B Yeats, brother of poet William B Yeats and friend to many literary icons of the era. His style of painting was considered a little inaccessible until the mid-1970s. But then, for no apparent reason other than that tastes and attitudes had changed, his popularity and value shot through the roof. A fine example of his work was sold at auction by Adams in their Stephen’s Green auction rooms in 1986 for £40,000, and was sold for close to £52,000 at Sotheby’s in London just over a year later. This was a record price for a word by the artist at the time, and a tidy return on investment. But in the context of today’s property market, and indeed some of the more attractive equities, this would seem rather unspectacular. But the timescale involved and the prevailing economic climate at the time should be considered. If you consider the fact that good works by the artist can command seven-figure sums when they come to market, the figures speak for themselves. But what is value in relation to the antiques world? Beauty-which is not a word in the stockbroker’s vocabulary-is, as they say, in the eye of the beholder. It should be the cardinal consideration in determining value, and is quite subjective, regardless of price. The aesthetic value, coupled with the practicality of the item and its functionality, allied to a little bit of common sense and basic research, are all parts of the decision making process, and thus part of the joy of collecting. After all, you are going to have to live with your purchase for a couple of years, so obviously you would not buy a Victorian mahogany breakfront library bookcase if you lived in a one-bedroom apartment. Quite apart from the cost, anything from £5,000 upwards, the sheer scale alone should promote a bit of head-scratching. Taking out a Black & Decker is not an option. But sitting on your Chippendale chair while sipping champagne from you antique crystal flutes can be rewarding when you know that the objects of your desire are increasing in value by the second. A few caveats here. As with equities, some collectibles do go out of favour from time to time. This is more a feature of the amount of money in circulation and the rules of supply and demand than a crash or the bottom falling out of the market. But it always returns. Buying at auction can be exciting, but before you purchase you should always check the fine print and conditions of sale. Many prospective purchasers forget or are unaware that the auction houses charge the buyer as well as the seller. Commission rates vary, and Vat is calculated as a percentage of his figure, but it is wise to add this into your price range before you start shaking your paddle about. And so to the pleasure-versus-profit question. If you buy what you like and what you can afford, with a good eye and modicum of knowledge, you can have both pleasure and profit without the pain. As with the equities market, it is never too late to start. If you go down to the woods today. In case you hadn’t noticed from the masthead, today is the first of October. This is of no major consequence except for the fact that from now until the end of the year, we can expect to be inundated with those annoying adverts announcing the countdown to Christmas. Not to be outdone we have decided that if you can’t beat them, you can at least get your say in first. With only a little over ten weeks to go until December 25, those much-loved gift items, teddy bears, are a seasonally appropriate topic. There are few objects which provide a more intimate link with the past than an old teddy bear or a cloth doll. In good condition these souvenirs of childhood can be of far more than sentimental value. Teddy bears, more so than other soft toys, have acquired considerable value as collectables of late, with the rarer ones changing hands for five figure sums. While soft bears on all fours were made before 1900, it was not until around 1902 that the first ones appeared with movable joints and not until 1906 that the teddy bear got its name. In 1902 US President Theodore “Teddy” Roosevelt, who was a keen hunter, appeared in a newspaper cartoon refusing to shoot a bear cub. The cartoon go national attention in the US at the time and soon afterwards the bear cub was used in other cartoons featuring Roosevelt. 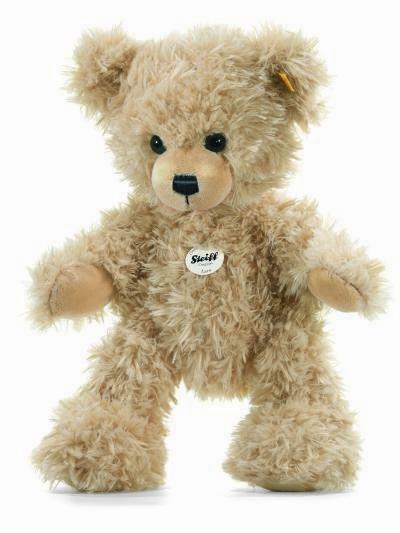 Steiff bears are still produced today. At the time soft toy bears were being imported from Germany in large quantities and they soon became popular with Roosevelt’s adult followers. By 1906 the toys had become known as ‘teddy bears’. The first teddy bears looked fiercer than the cuddly teddies we are now familiar with, as their features were originally modelled on grizzly and brown bears. But gradually their appearance changed to the furry creature that we know today. This was due in no small part to a German lady called Margarete Steiff, founder of the Steiff Toy Company. Steiff, who was polio-stricken from an early age, began making underskirts for a firm in Stuttgart in 1877 as a means of gaining independence. In 1880 she made her first soft toy, an elephant, using felt from her uncle’s felt factory. This was soon followed by pigs, horses, cats and camels and in 1884 she made her first standing bear. For some time Steiff bears failed to arouse much interest, but a US company placed an order for 3,000 of her bears at the Leipzig Fair in 1903 and the Steiff bear took off. 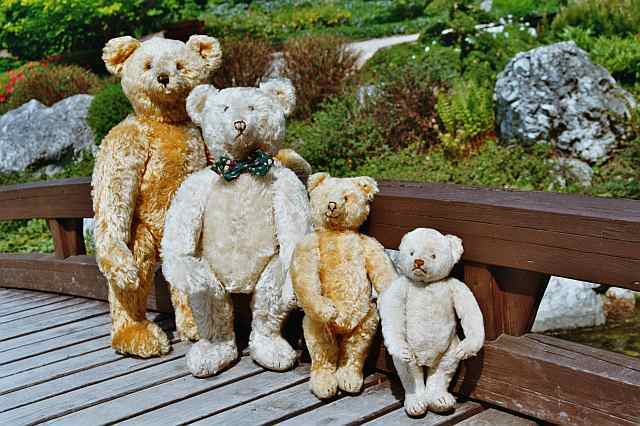 The fine quality of the bears has ensured that Steiff bears have become one of the most popular makes for bear collectors today. 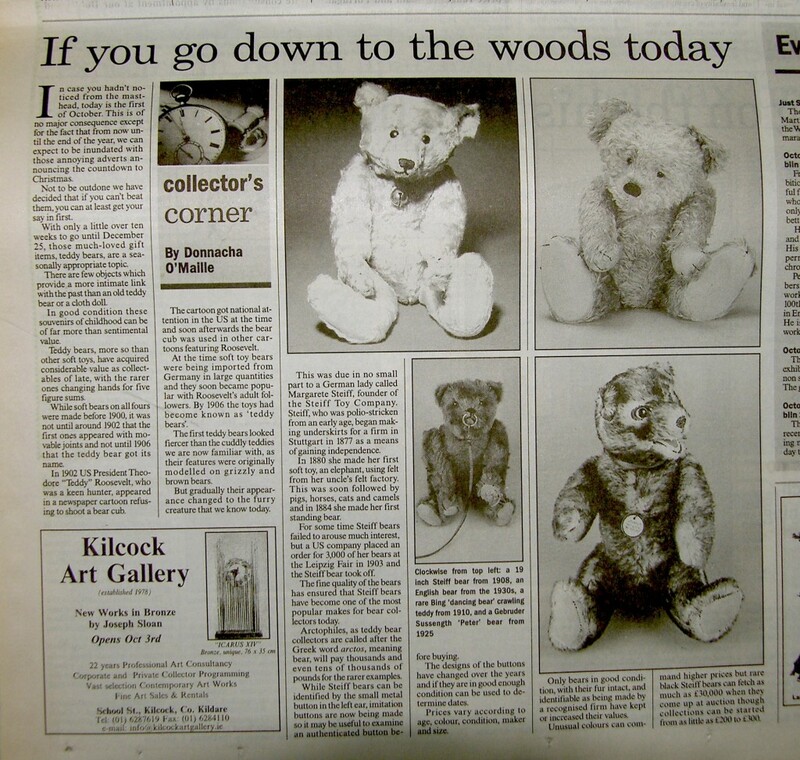 Arctophiles, as teddy bear collectors are called after the Greek word arctos, meaning bear, will pay thousands and even tens of thousands of pounds for the rarer examples. While Steiff bears can be identified by the small metal button in the left ear, imitation buttons are now being made so it may be useful to examine an authenticated button before buying. The designs of the buttons have changed over the years and if they are in good enough condition can be used to determine dates. Prices vary according to age, colour, condition, maker and size. Only bears in good condition, with their fur intact, and identifiable as being made by a recognised firm have kept or increased their values. Unusual colours can command higher prices but rare black Steiff bears can fetch as much as £30,000 when they come up at auction though collections can be started from as little as £200 to £300. It now appears that both firms will be paying out over $500 million in compensation to clients who allege that collusion over commission rates cost them money. This story, which has captivated art market watchers since it first broke in January this year, contains all the elements of a Jeffrey Archer novel. It is a story of international intrigue, billionaire businessmen, secret memos, class action lawsuits, gentleman’s agreements, New York socialites, Department of Justice investigations and of course, price fixing. The politician turned novelist Archer has experienced a few problems himself this year but they cannot possibly compare to the annus horribilis experienced the world’s two leading auction houses. The key players in the saga, are Alfred Taubman and Francois Pinault. Taubman, a billionaire Detroit shopping centre magnate was the chairman of Sotheby’s until the beginning of this year. He made his fortune by transforming outdated suburban shopping malls into playgrounds for the rich with designer shops and trendy cafes in the late 1960’s and 1970’s. Taubman bought Sotheby’s in1993 for $130 million and soon afterwords took the company public in London and New York. The shares subsequently skyrocketed on the back of massive earnings from the overheated New York art market of the 1980’s and although he is no longer chairman of the company, he still effectively retains control. Francois Pinault, meanwhile, is the hardnosed French billionaire and owner of Gucci, Samsonite and Chateau Latour, the top Bordeaux vineyard. He is also owner of the Vail ski resort in Colorado and through a labyrinthine network of other companies, is also involved in newspapers, books, software, music and clothing chains. 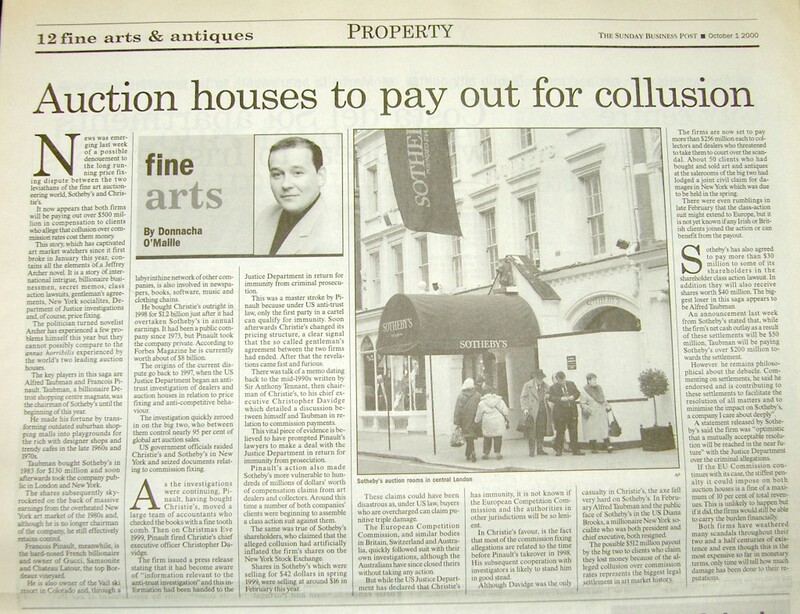 The origins of the current dispute go back to 1997, when the US Justice Department began an antitrust investigation of dealers and auction houses in relation to price fixing and anticompetitive behaviour. The investigation quickly zeroed in on the big two, who between them control nearly 95 per cent of global art auction sales. US government officials raided Christie’s and Sotheby’s in New York and seized documents relating to commission fixing. The firm issued a press release stating that it had become aware of “information relevant to the antitrust investigation and this information had been handed to the Justice Department in return for immunity from criminal prosecution. This was a master stroke by Pinault because under US antitrust law, only the first party in a cartel can qualify for immunity. Soon afterwards Christie’s changed its pricing structure, a clear signal that the so called gentleman’s agreement between the two firms had ended. After that the revelations came fast and furious. This vital piece of evidence is believed to have prompted Pinault’s lawyers to make a deal with the Justice Department in return for immunity from prosecution. Pinault’s action also made Sotheby’s more vulnerable to hundreds of millions of dollars’ worth of compensation claims from art dealers and collectors. Around this time a number of both companies’ clients were beginning to assemble a class action suit against them. The same was true of Sotheby’s shareholders, who claimed that the alleged collusion had artificially, inflated the firm’s shares on the New York Stock Exchange. Shares in Sotheby’s which were selling for $42 in spring 1999, were selling at around $16 in February of this year. These claims could have been disastrous as under US law, buyers who are overcharged can claim punitive triple damage. The European Competition Commission. and similar bodies in Britain, Switzerland and Australia. quickly followed suit with their own investigations, although the Australians have since closed theirs without taking any action. But while the US Justice Department has declared that Christle’s has immunity, it is not known if the European Competition Commission and the authorities in other jurisdictions will be so lenient. In Christie’s favour is the fact that most of the commission fixing allegations are related to the time before Pinault’s takeover in 1998. His subsequent cooperation with investigators is also likely to stand him in good stead. Although davidge was the only casualty in Christie’s, the axe fell very hard on Sotheby’s. In February Alfred Taubman and the public face of Sotheby’s in the US Diana Brooks, a millionaire New York socialite who was both president and chief executive, both resigned. The possible $512niillion payout by the big two to clients who claim they lost money because of the alleged collusion over commission rates represents the biggest legal settlement in art market history. The firms are now set to pay more than $256 million each to collectors and dealers who threatened to take them to court over the scandal. About 50 clients who had bought and sold art and antiques at the salerooms of the big two had lodged a joint civil claim for damages in New York which was due to be held in the spring. There were even rumblings in late February that the class-action suit might extend to Europe but it is not yet known if any Irish or British clients joined the action or can benefit from the payout. Sothcby’s has also agreed to pay more than $30 million to some of its shareholders in the shareholder class action lawsuit. In addition they will also receive shares worth $40 million. The biggest loser in this saga appears to be Alfred Taubman. An announcement last week from Sotheby’s stated that. while the firm’s net cash outlay as a result of these settlements will be $50 million, Taubman will be paying Sotheby’s over $200 million towards the settlement. However, he remains philosophical about the debacle. Commenting on settlements he said he endorsed and is contributing to these settlements to facilitate the resolution of all matters and to minimise the impact on Sotheby’s, “a company I care about deeply”. A statement released by Sotheby’s said the firm was “optimistic that a mutually acceptable resolution will be reached in the near future” with the Justice Department over the criminal allegations. Both firms have weathered many scandals throughout their two and a half centuries of existence and even though this is the most expensive so far in monetary terms, only time will tell how much damage has been done to their reputations. Books for pleasure and profit. Book collecting has for years inhabited an inaccessible world of dark, musty shops open only to the erudite and the initiated This esoteric image may have been true once. but today it is a myth. The business is thriving with new areas and genres emerging every year and new collectors, dealers and sources of supply popping up. In recent years the growth in book fairs has seen new collectors come in to whet their appetites, then move on to buying from rare book specialist. and auctioneers. The book collecting world has been dragged into the 21st century and is alive and thriving. But why collect ‘old’ books at all? Surely a new, more attractive and modern reprint of Ulysses by James Joyce would be preferable to a fragile old featureless copy of the book first printed in Paris in 1922? If you do have a copy of the first edition, I would be glad to exchange old for new. The first edition, which was printed in Paris in 1922 by Shakespeare and Company, was limited to 1,000 copies, 100 of those on handmade paper and signed by the author. A conservative estimate for one of those copies would be £10,000 to £20,000, but, given the newfound wealth in this country the estimates are best left in the land of fiction until one comes up for auction. A rare event indeed. 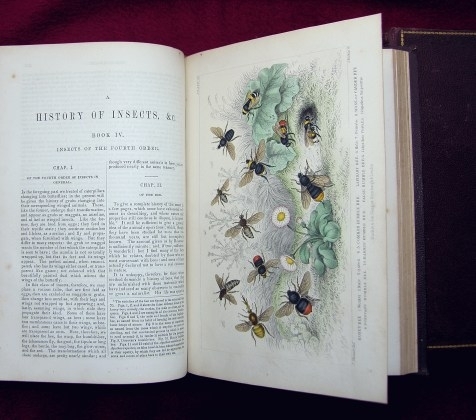 Books have always been soughtafter collectibles, the two most obvious attractions being size and price. It is easy to build up a library swiftly on a limited budget once you have chosen your area of interest and selected recognised and reputable sources. It must be remembered that they are collectors themselves and thus should not steer you too far wrong. If you build up rapport with a dealer or auctioneer you will have a friend, instructor and confidant who will be only too willing to give you a call when something comes in that is in your area of interest. Some of the general areas of interest are outlined below, but this is not a finite list, as there are subsections to nearly all subjects. 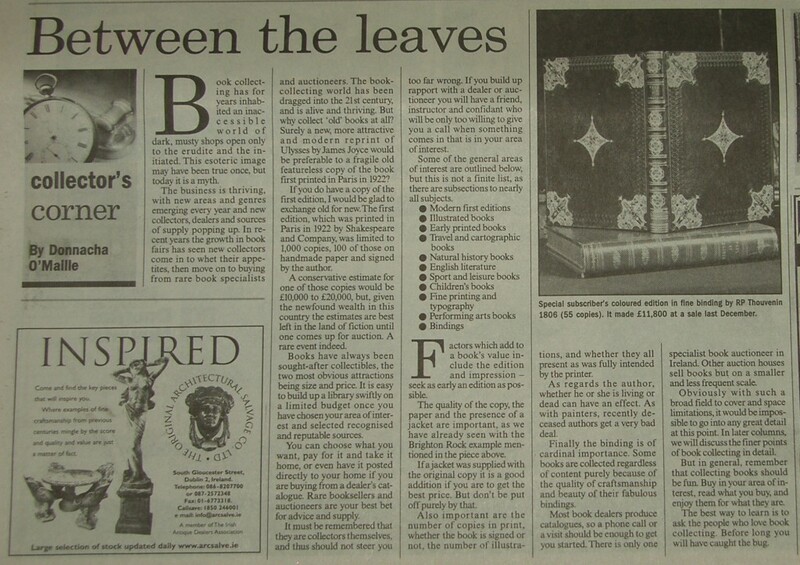 If a jacket was supplied with the original copy, it is a good addition if you are to get the best price. But don’t be put off purely by that. Also important are the number of copies in print, whether the book is signed or not, the number of illustrations and whether they all present as was fully. intended by the printer. Finally, the binding is of cardinal importance. Some books are collected regardless of content purely because of the quality of craftsmanship and beauty of their bindings. Most book dealers produce catalogues, so a phone call or a visit should be enough to get you started. 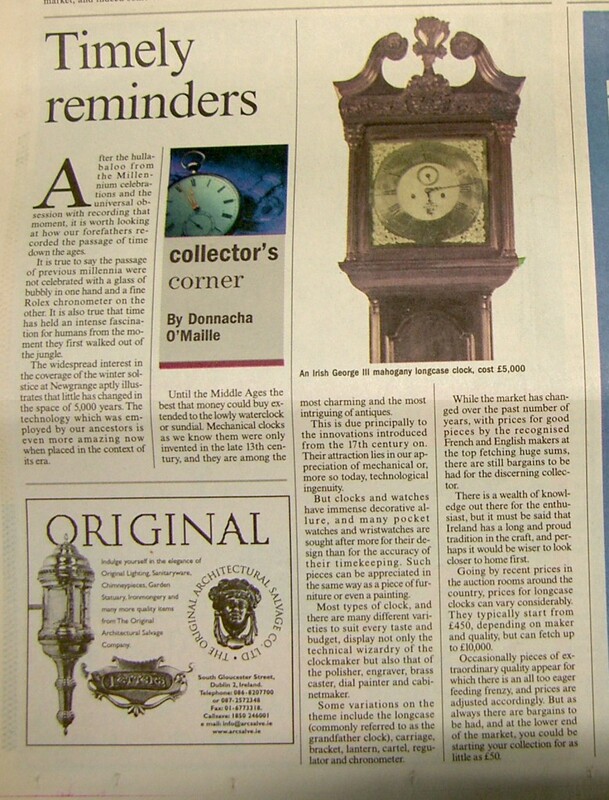 There is only one specialist book auctioneer in Ireland. Other auction houses sell books but on a smaller and less frequent scale. Obviously with such a broad field to cover and space limitations, it would be impossible to go into any great detail at this point. In later columns. we will discuss the finer points of book collecting in detail. But in general. remember that collecting books should be fun. Buy in your area of interest, read what you buy, and enjoy them for what they are. The best way to learn is to ask the people who love book collecting. Before long you will have caught the bug. Contact us directly from here! Please fill out the CAPTCHA Box Correctly. Go on, buy an old map of Ireland!